Love to travel but those pesky issues about simply paying for bills get in the way? I know right, seems ridiculous that it isn't free for people, alas we shall accept the inevitable and even if your wallet is scarily thin and everytime you open it you see a lowly tumbleweed roll by, you can still be savvy with whatever money you do have. That's why we teamed up with our friends over at Rome2rio. Rome2rio makes travel planning easy. Rome2rio is a door-to-door travel information and booking engine, helping you get to and from any location in the world. Enter an address, landmark, or city as your destination and they will instantly display all your travel and booking options, along with information about accommodation and things to do, in one convenient spot. Together we are going to share some hints and tips and the best destination in our Adventure Travel Tips On A Budget: The tricks and destinations. Some of these points may seem a little self-explanatory but it's so easy to throw caution to the wind and make like Leo in Wolf Of Wall Street throwing cash over the deck of a superyacht. Okay not that bad, but it's so easy to fritter away cash when you are less travel savvy! So, channel your inner travel pro. As awesome as it is to be spontaneous, planning is key to ensuring you manage your funds effectively. Get a google docs going or repurpose a little notepad and start getting some plans down and the estimated travel costs. When your travelling on a budget it’s important to think about what your spending , do you really need it or is it a want . Making sure you look for good prices and shop around for the best price. It might take a bit of time but financially it will benefit you to put the rest of the money into activities. 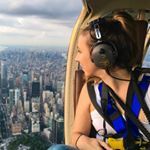 Taking a friend with you for the first time on your travels to cut costs together is something that I did my first year of travel until you make connections and friends along the way. Providing business to the locals when travelling rather than the big food chains can sometimes be cheaper . Depending on the country this can be difficult in certain countries finding markets so exploring the area when your travelling , shopping around and taking your time in the grocery store to compare what your buying with the other products can help you keep your food cost down. Gone are the days that you traveled with your family around the school holidays and festive seasons but if you ensure you travel out of season you can often pick up the best flight and hotel prices. Like to live the high life, real fancy, crystal champagne glass vibes? Then you need to reassess your life choices, therefore, staying in a hostel or guest house over a hotel is an obvious choice. Forgot your toothbrush, need some more shampoo? Annoying right, but if you plan ahead and pack in advance, you prevent these little near misses and ensure you have everything you need. Set up flight notifications on various comparison websites like Kayak and be ready to press “Buy Now” and feel like a real winner. Look locally! Exploring nearby destinations can sometimes be just as rewarding as traveling abroad. If you are searching an area in the driving distance, you will have more flexibility to jump on an amazing deal if an activity has a sale or group. Also, get on the lists for activities you really want to experience. For example, I get FLYNYON emails, they are doors off helicopter company, and they do the work to keep me updated on good deals. If one fits my schedule, I take it! Midweek travel prices are lower as a premium is added to weekend flights and you’ll breeze through shorter queues at airport check-in desks and security as well. Win-win. Okay, you remember that bus to school as a kid, full of total oddballs but generally public transport is awesome. It's cheap, cheerful and often and be a more efficient way of getting around. Bringing us seamlessly onto by far the best point, obviously, as part of the planning, you need to hear to Rome2rio to plan those elements of travelling. Planes, trains, boats or taxis, compare prices and much more. Eating out is epic but perhaps you can save that pleasure for dinner, for breaki and lunch, why not simply head to the supermarket, bulk up on delicious local products and save some pennies. If you are smart when you travel often you can start to enjoy the perks of kickbacks. Sign up to be a member of the airline you travel with then if you have to take car hire or hotels, book via them and start gathering points. “For all you adventure sports traveling people. I would recommend finding gear for your sports second hand instead of buying new stuff. Surfboards, ski equipment, backpacks etc. It’s pretty easy to find “buy and sell groups” in social media (like Facebook), or websites from the specific country you are visiting that sells these kinds of things. Talk with the local people to get recommendations on the best websites or maybe even local stores that sell second hand. After you can either keep it or sell it. This way you can support the local community, it’s more friendly to your wallet and also better for the environment”. We have selected some of the best destinations, helping you plan the ultimate world tour or simply choose your favourite spots and allow your valued cash to work a little harder than normal. We also enlisted the help of your Rome2rio pals to make it even easier to navigate between destinations. Use their widget below to get going once you find the destination that tickles your travel taste buds. 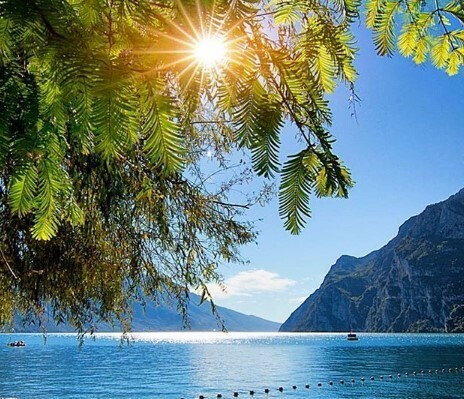 Let's head to Lake Garda Italy and principally Riva Del Garda in the North. 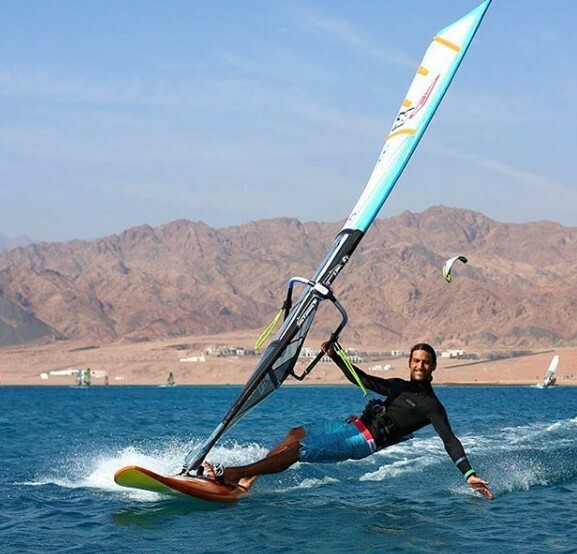 Its home to world-class kite, wind and wake surfing and its got the vibe to match. Not only that but the whole area is geared up cost-effective travel. Is so popular with camping lovers that there are cheap and amazing facilities around every turn. From glamping to down to earth camping and all right on the lakeside. With views, did we mention the place looks like a screen saver? The pizza and pasta, beer and wine are all super reasonably priced too and there is an abundance of local products in the supermarket for picnics by the lake. 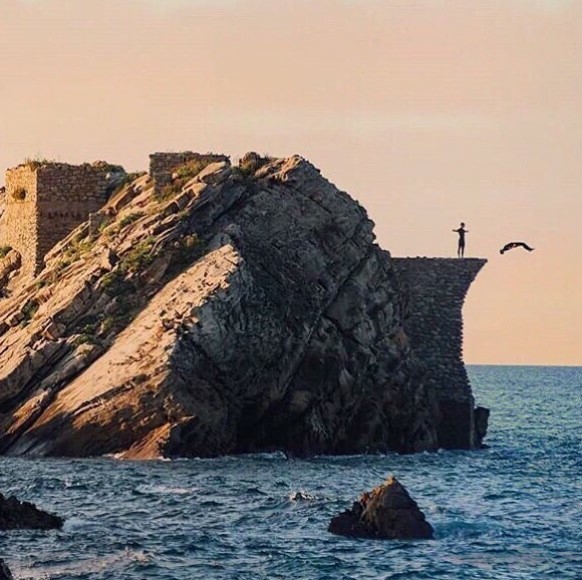 Oh, there are also some epic cliff diving places. San Sebastian has the best of everything, it's the perfect place for lovers of sun, surf and all things gastronomy. With more Michelin Star restaurants and bars per square meter than anywhere else in the world, it really is the foodie capital of the globe. In some places the locals are members of sporting clubs, in San Sebastian, they're members of cooking clubs. A "must do" would have to be visiting a Sidra house, or Sidrerias as they´re known locally, these visits include a communal meal, usually consisting of salted cod, peppers, cheese, steak, and baguette bread. The full experience is a flat fee so you know what you're signing up for. Otherwise tasting tiny portions of tapas (or pintxos in the Basque language) are a great way to sample the local cuisine, with prices ranging from €1 to €5 these don't break the bank. Get outside and enjoy the serenity! 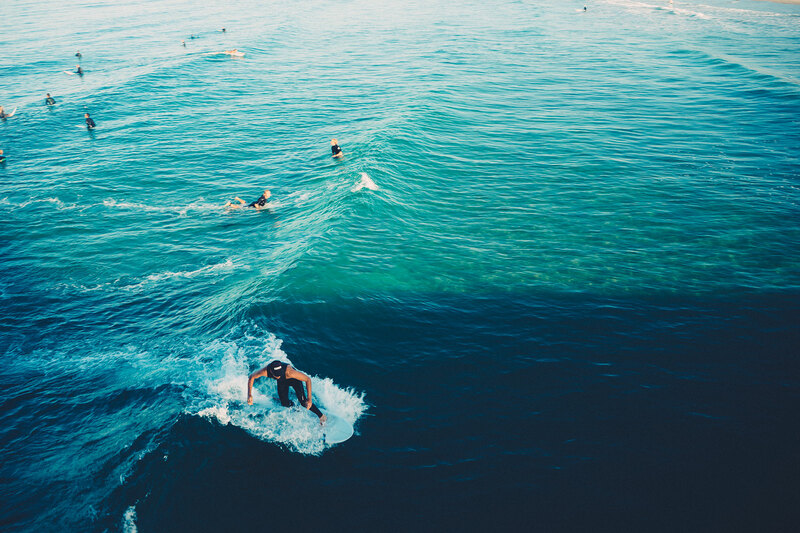 The Basque region of San Sebastian is surrounded by luscious, green, rolling hills, and is on the coast of a crystal clear ocean, which produces consistent sets of awesome waves. Take a hike up to Mount Urgull and enjoy the spectacular views. 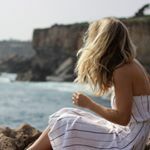 Why do you love Cascais? Because of the cool balance between a Portuguese city and a surf destination all year round. What is a must do when in the area? Surfing any time of the year, cultural visits to Lisbon and Sintra and enjoy the Portuguese cuisine with seafood and delicious pastries. Best time of the year to come to Cascais is September and October or March/April because of the great waves, it is less crowded and the weather is still war. Image and insider secret by our friends at Flisvos Kite Centre. Why do you love Naxos? I love these island because. Naxos you can combine real beach life and adventure life in one. 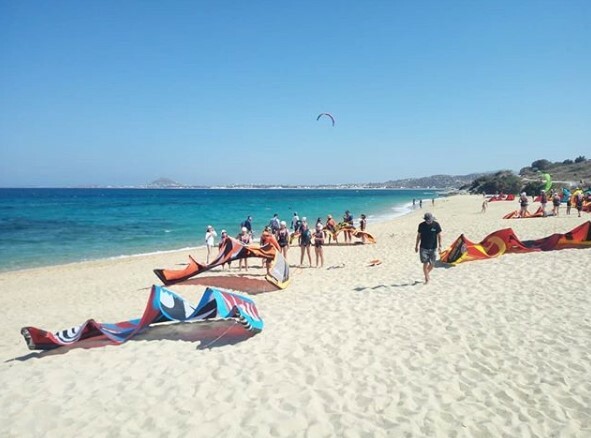 You climb on the mountains, kite or windsurf on the pristine beaches, dive on the total green water and you can do mountain biking on the Naxos trails. running on the beautiful paths of Naxos, the best sunsets on Apollon temple and horse riding in the seaside. Eating the Mediterranean food. with the best quality and healthy traditions villages with the pure old greeks farmers. Sailing in the Aegean sea with the dolphins and to the famous cave of Rina. Why do you love Hakuba? 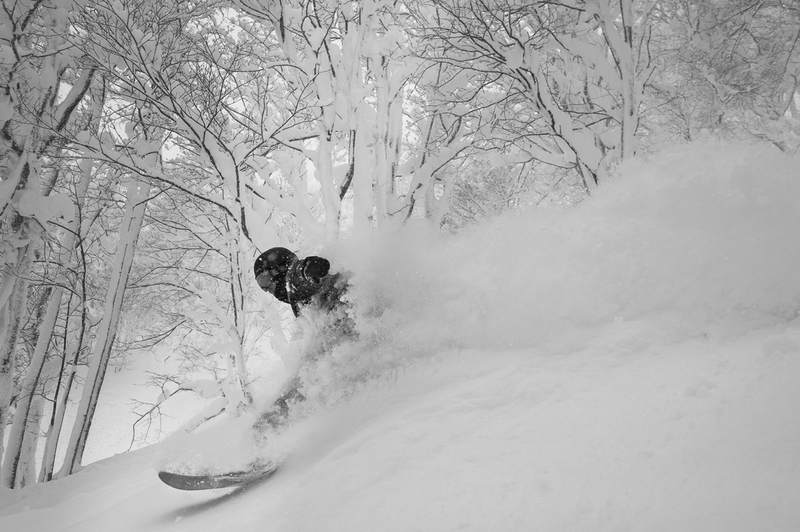 Why love Hakuba the honest answer is that it is a cost-efficient paradise. I honestly could not afford to set up the same business in my home country of Canada. The tourism answer is simple. Hakuba is a unique town. 10 plus meters of snow in the winter. Awesome fresh water supply. Warm not hot summers. Backcountry to explore for years mostly day trips. Mountain biking and great hiking trails in the safest town I've ever lived in. Hakuba in the summer the must do is to swim in Aoikiko Lake. I have never swum in a lake this clean and I'm from Canada. In the winter other than skiing a must do is try to watch a Takiko (Japanese drum event) Takiko is heart pounding. Hints and tips the tourism board will hate me but don't buy the all mountain ticket. The all-mountain ticket is coinvent but it costs a lot of money. Take the train to Cortina if you don't you will be at the back of the line. If you are Vegan just buy fresh food and nothing processed. One of Sri Lanka’s most popular backpacker destinations, Hikkaduwa Beach, offers an opportunity for a lot of adventure! 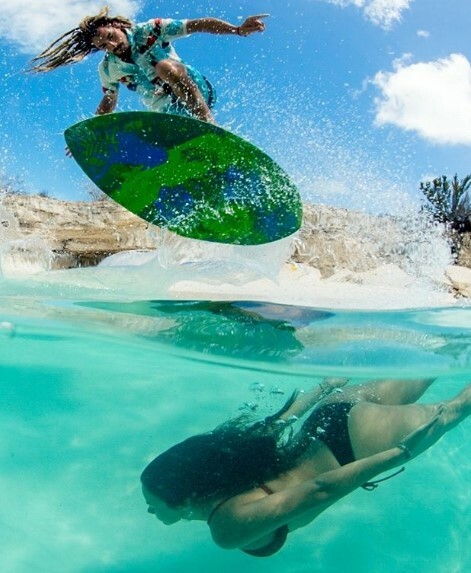 You can do surfing, snorkeling or diving here and the best months to visit are November to May, during the dry season. Opt to rent a house or a local place for a better budget option, if you plan to stay for a long period, and while there, try cooking some delicacies with fresh products from the local food market, instead of eating at restaurants every day. Juara beach, located on the island of Tioman, offers amazingly cheap, beachside accommodation with an incredible view. 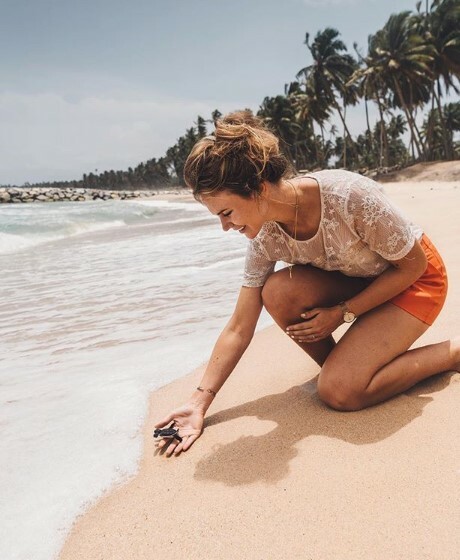 You can set on for various adventures from there, like trekking to a nearby waterfall in the mountains or walking to a sea turtle conservation project at the far end of the beach. You can also go snorkeling and enjoy the tranquility of the amazing scenery. The food is insanely inexpensive and can range from $3 to $10 at a middle range restaurant. Cool, huh? There is no other place like Bali. The Island of the Gods offers great beaches, countless waves for surfing and wonderful natural sites to visit and explore, colorful ceremonies, and gifted artists. There is an unbelievably wide range of hotels and accommodation, restaurants, spas, and world-class activities and shopping - all within close distance and at very fair prices. 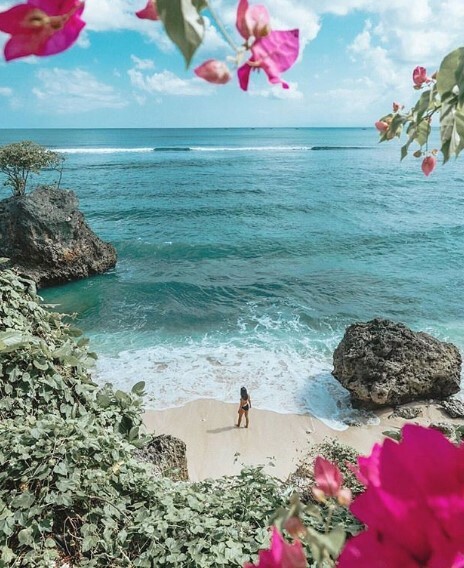 Choose from basic home-stays run by friendly Balinese families, and 5-star beach resorts or luxurious, privately-serviced Bali villas with your private pool. Image of the amazing @emmaninasmith as taken by the talented @chappypix. Insider secrets by our pals at Jeffreys Bay Tourism Board. Why do you love Jeffreys Bay? The lifestyle JBay offers is priceless. We are blessed, the endless stretch of beaches, the people. 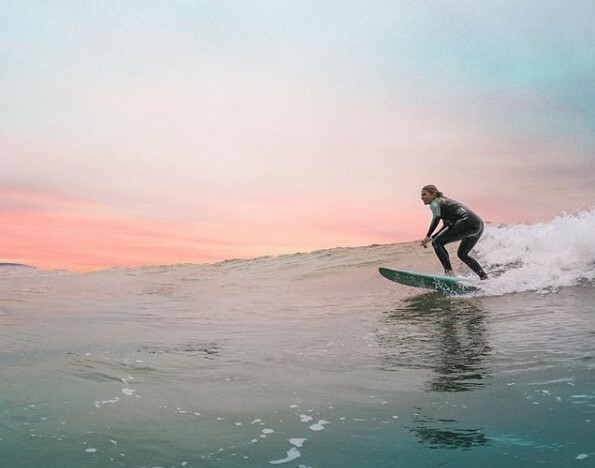 Jbay has so much to offer and a perfect home base, within a 150 km radius you can do the big 5, jump the highest bridge bungee jumping, go on a safari, sandboard, beach horse ride, do a surf tour and all this without even leaving town. Sit on the boardwalk at famous surf spot 'Supertubes' and enjoy the view of the waves, surfer dolphins, beach, and the surrounding mountains. Our coffee shops and restaurant - they are all excellent and offer a variety of dishes and affordability. Experience our WSL Corona JBay Open (Editorial note: A surf competition) in July and view the top international surfers giving it their best at Supertubes. Zanzibar is the ultimate Indian Ocean experience, with its fascinating historical Stone Town and magnificent beaches. 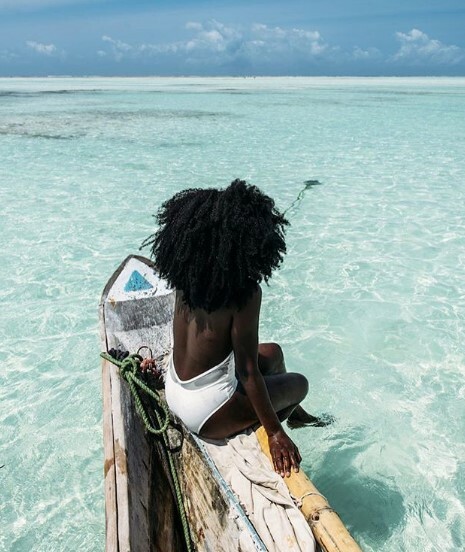 Zanzibar's Indian Ocean offers world-class watersports including scuba diving, snorkeling, deep sea fishing, kayaking, kitesurfing, windsurfing, water skiing, and sailing. The water is screen saver ready, the landscape incredibly beautiful and the cost and standard of living are amazing. The food, drinks and accommodation and all very down to earth but also very price manageable. Insider secrets by our pals at Malawi Tourism Board. 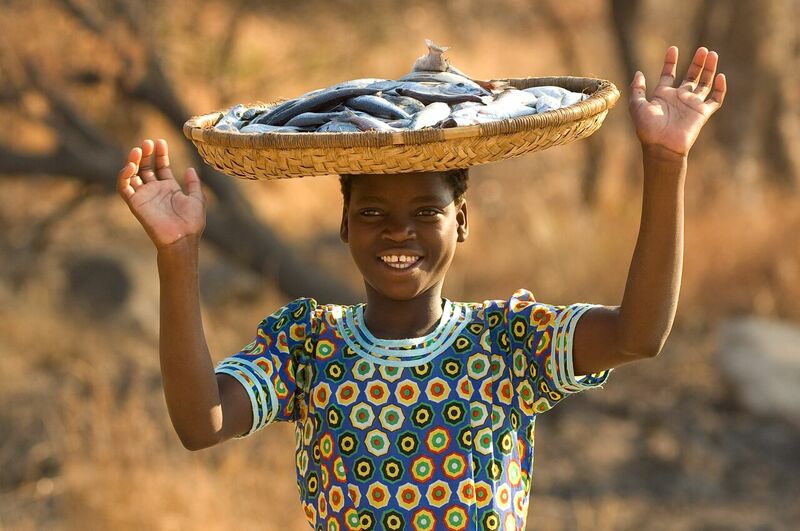 Why do you love Lake Malawi? We love Lake Malawi because, although it’s a freshwater lake, it’s like an inland tropical sea with crystal clear waters and untouched golden sandy beaches. 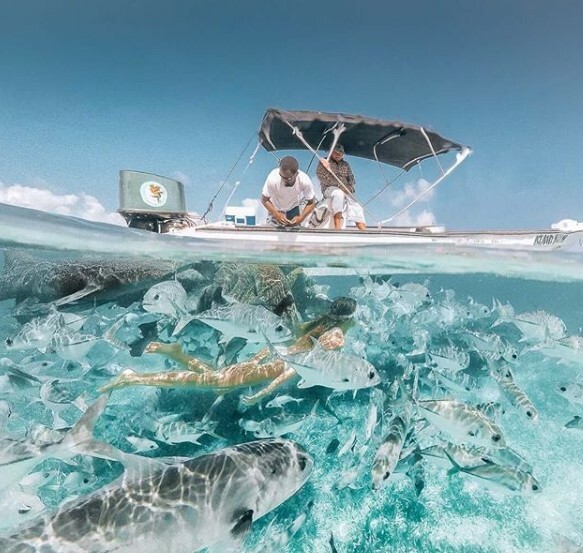 As well as offering a wide variety of activities and being a fantastic place to relax and unwind, it’s also a real-life aquarium with up to 1000 species of tropical fish teeming in its waters. This is the Lake of Stars and the jewel of Malawi. Snorkeling is a low-cost activity that is an absolute must – a great way to get within touching distance of the great variety of colorful tropical fish found in Lake Malawi’s waters. A variety of other watersports are also available, with kayaking amongst the most popular, and it is one of the cheapest places in the world to learn how to scuba dive. There is a wide range of lodges along the lakeshore and even some on deserted islands in the lake. They all offer a variety of activities to their guests, with a few also having PADI-registered dive schools. Whether you’re interested in Egypt’s history, just want a relaxing sun-filled holiday or want to cross diving in the famous Red Sea off your bucket list, there are many places to visit in Egypt. Adventure awaits. For us westerners, Egypt is still very affordable compared to home, a taxi around town costs you less than $1 and a dinner for two with some fresh juice will set you back about $20. Excursions and activities are very affordable too, so a visit to Dahab won’t break the bank. Why do you love Cerro Castor? Cerro Castor is the southernmost ski center in the world. The place concentrates the best quality of snow for its geographical position and has an artificial snow network (28 techno alpine canyons - the largest in South America) that covers extensively from the middle to the base and much of the east side of the mountain, guaranteeing great quantity of snow throughout the season. If you visit Cerro Castor you can not miss the opportunity to skate on its ice skating rink or enjoy regional food at its eight gastronomic points. In addition. 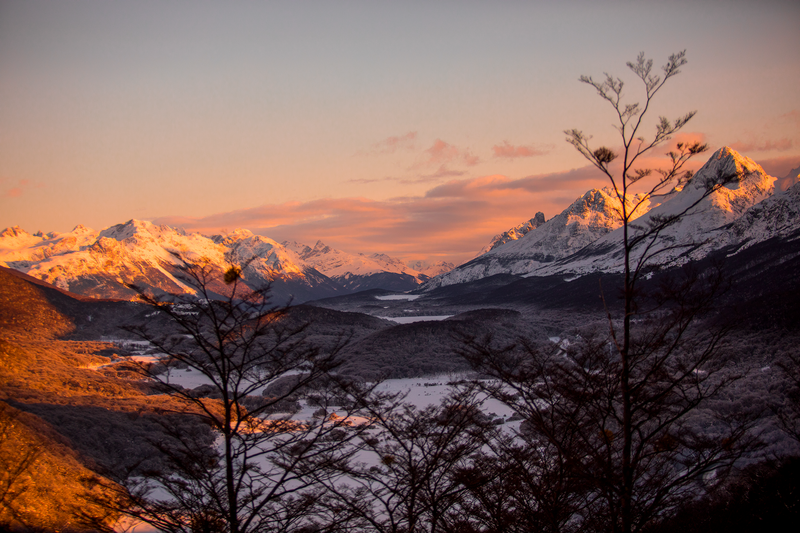 Cerro Castor offers the possibility to stay in the mountains, surrounded by nature in the luxury complex "Castor Ski Lodge". Each weekend Cerro Castor offers different activities to perform throughout the season. Every year the ski centre receives celebrity visits and international chefs who offer visitors different gastronomic proposals to taste. 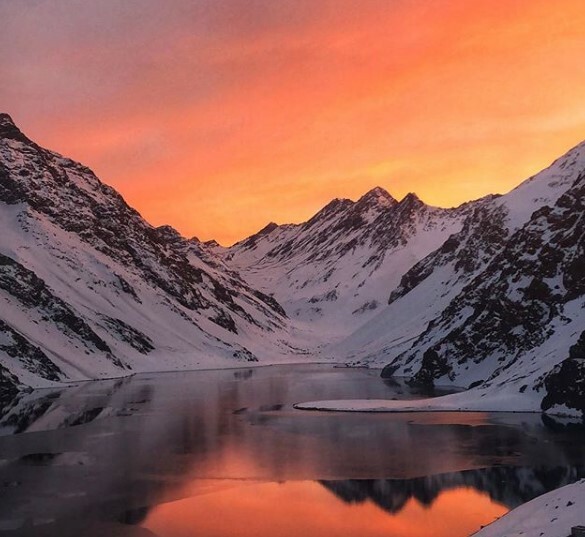 The Portillo Ski Area in Chile is the most famous and oldest center in South America, renown for its extraordinary beauty and its world-class skiing and snowboarding. In a world quickly going generic, Portillo proudly remains unique, private and grand. There are no towns, shopping areas, high-priced tickets or major ego to be found here, just casual elegance and a warm social atmosphere that encourages every visitor to feel like part of the family. Having said that, in comparison to skiing in the Alps, Portillo is a snip of what the cost would be, your money goes so much further. Why do you love Tamarindo? I love Tamarindo because is a friendly beach town with all you need in a single street combined with amazing landscapes, a wide variety of restaurant options from typical food to stylish modern seafood cuisine. Also, the weather is perfect with sunny days and warm waters. There are a lot of local shops, so doing some souvenir shopping is a must, also visiting the nearby attractions such as national parks or wildlife tours in the area. As I said before, there are a lot of lodging options in Tamarindo for all kind of budgets. But not always spending a lot of money means having the best hotel. Try to find the cheaper options and you will discover amazing beachfront cabinas or places with the best views, all of them accessible. Also, there are a lot of typical restaurants, so don't miss the costa rican typical food such as Gallo Pinto for breakfast or Casado for lunch. As the largest and most intact reef system within the Northern Hemisphere, the Belize Barrier Reef comprises seven 7 key marine reserve zones, over four hundred Cayes (islands) and three atolls. The reef’s crystal blue waters are a haven for its marine community and an enticing exploratory region for SCUBA divers and snorkelers. Discover the over five hundred species of fish, seventy hard coral and thirty-six soft coral species among the plenty of aesthetic views both above and below water. In 1996, this reef was inscribed as a UNESCO World Heritage Site for its significant habitats and natural development. Plus, if you shop around and book well in advance, the package deals for holidays in the area can be really reasonable prices, head with a local operator to discover snorkelling, then you can save a penny or two for sure! Turks & Caicos is a chain of islands located Southeast of the Bahamas and just North of the Dominican Republic. 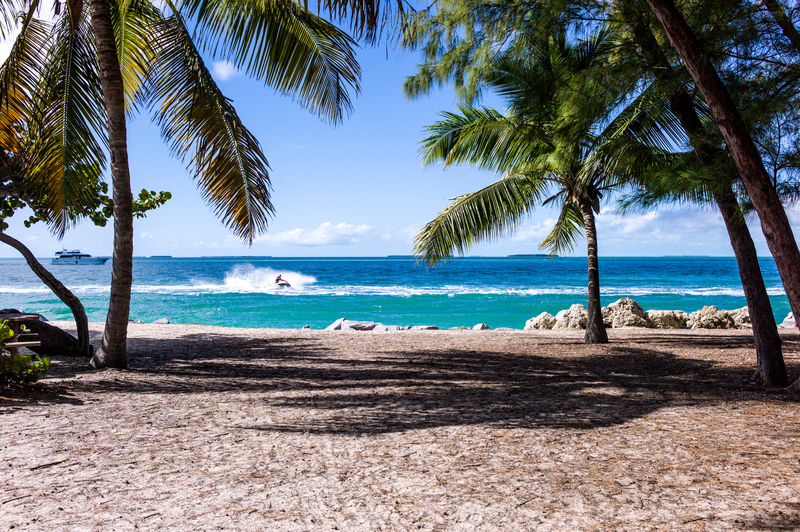 Providenciales, known locally as Provo, is Turks & Caicos most developed island. It is surrounded by beautiful white sand beaches and some of the most incredible turquoise water in the world. A luxury destination, which boasts a large variety of beachfront bars and restaurants to satisfy any taste. Nature is beautiful, and if you travel with our friends over at Wake2wake, you will be able to discover the beauty of the area for the best price. 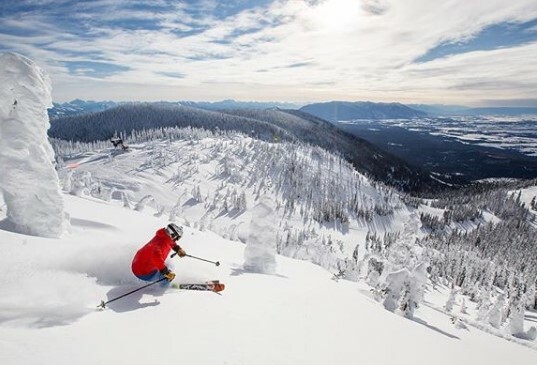 Whitefish is the destination of dreams. An incredible mountain with so many all-terrain possibilities matched with that small ski town vibe. The access to the area, despite how remote it is, it's fantastic, through publish transport and air travel you can get to Whitefish without much fuss while also not breaking the bank. 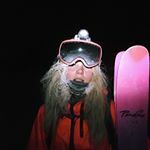 The ski pass prices are really reasonable especially if you get an early bird ticket and match that with the price of an apres ski beer then you have the ideal spot to enjoy a cost-effective powder getaway. 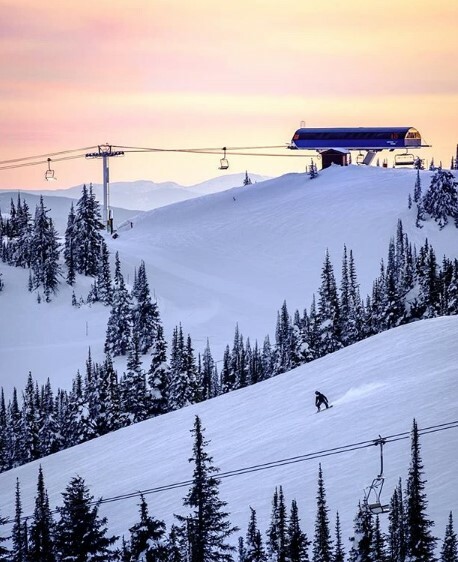 Why do you love Big White? I love Big White because it truly has it all! Canada’s largest ski-in ski-out village, an average of 7.5m of Okanagan Champagne Powder every season. It also has endless activities for all ages including ice skating, snowshoeing, snowmobiling, sleigh rides, dog sledging, tubing, ice climbing and more. On top of all of this, the 15 lifts keep the lines to a minimum so you never have to wait in line even on the biggest powder day or the busiest day of the season. Ice skating on Canada’s highest outdoor skating rink is a must! Not only is it free if you have your own skates, but it’s a truly Canadian experience topped off with free hot chocolate around a warm bonfire. 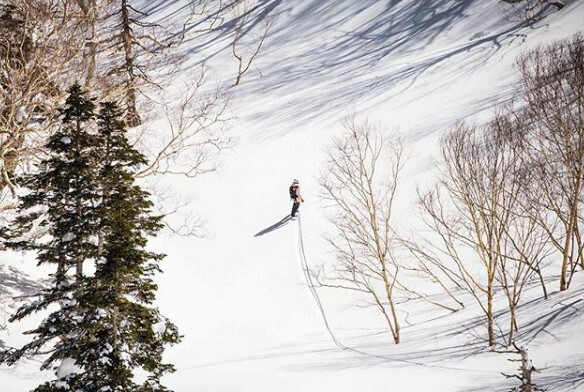 Another must is to ski through the beautiful snow ghosts at the top of the mountain, which are trees that are completely covered in snow and ice. Join us for $10 Friday Nights where you can get a lift ticket, rentals, lessons, and dinner, all for just $10 each. There you have it! You have discovered a little bit more about how to travel savvy! Explore all 4 corners of the globes while keeping your wallet close by. We would love to hear from you! Do you have any hints and tips? Any comments about how to maximize your travel time while ensuring your money work for you? Let us know via social media or email us on angelica@thrillism.com and we will be sure to share your thoughts in future articles.